Use the form below to inquire about Indigenous Treehouse In Kumily . Use the form below to reserve for Indigenous Treehouse In Kumily . Make nature your home at the Indigenous Treehouse In Kumily, a place that takes you back to nature and your true roots. 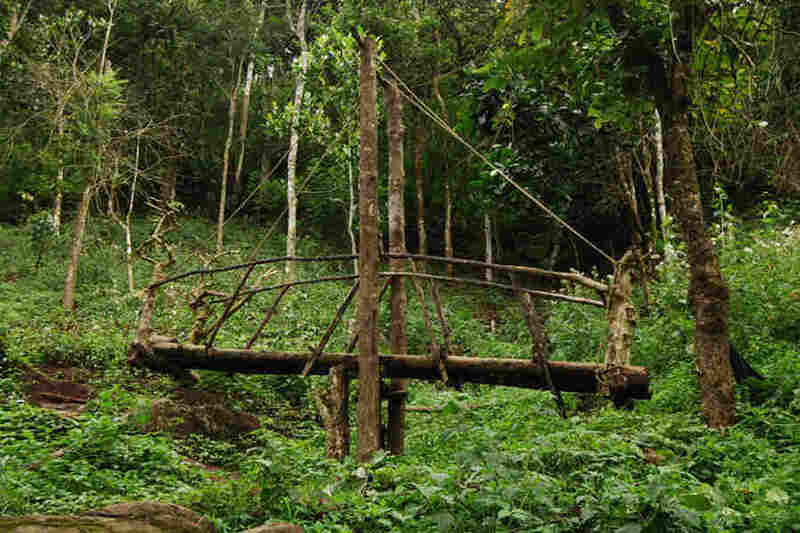 Thekkady has all the ingredients to awaken your soul and senses. With panoramic views of a green landscape, rolling hills, and sprawling tea plantations manicured to perfect symmetry, the natural beauty of the region is a treat to the eyes and balm for the soul. One of the top hill stations in Kerala, Thekkady is blessed with an abundance of exquisite natural beauty, which also makes it a great destination for a family holiday as well as a solo getaway. While the landscape of Thekkady is the thriving ground for rich flora and fauna in and around the Periyar Wildlife Sanctuary, Kumily is the center for spice trade. Away from the hustle and bustle of the busy town is the Indigenous Treehouse In Kumily, a holiday home nestled in the lap of nature. 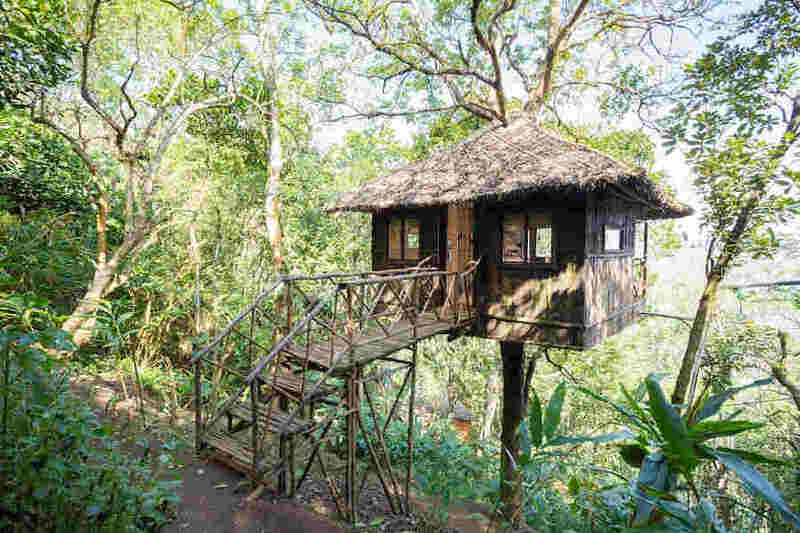 The Indigenous Treehouse In Kumily is a one-of-its-kind tree house that promises to take its guests back to nature and helps them embrace their true roots. Spread over 12 acres, it’s not just any ordinary tree house, but it’s a way of life. It promotes indigenous ways of living and promises to be an experience of a lifetime for nature lovers. It is to be noted that kids are not allowed in the treehouse. The facilities provided at the tree house are true to the living style it promotes – one that is based on self-sufficiency. It’s located 6 km away from the resort where the check-in and check-out formalities are done. 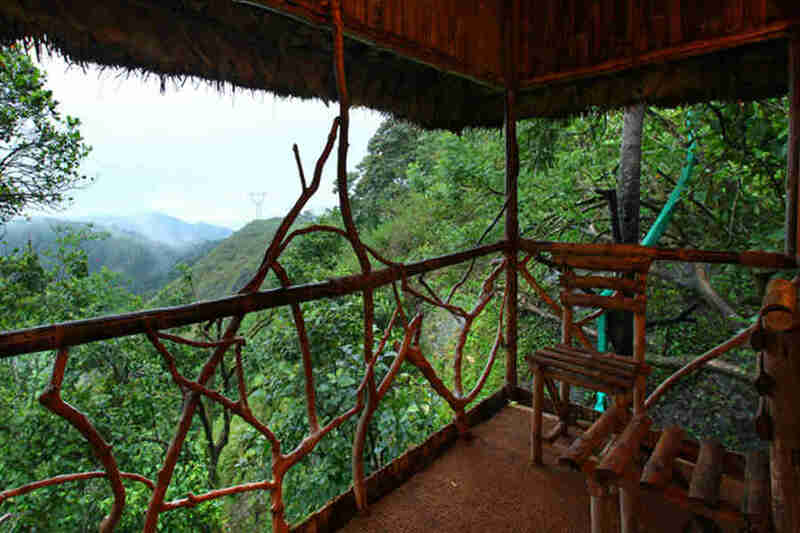 From the resort, the tree house is a 4×4 Jeep drive and a short trek away. The source of power at the tree house is solar and wind-generated. There’s a butler house with two staff members. 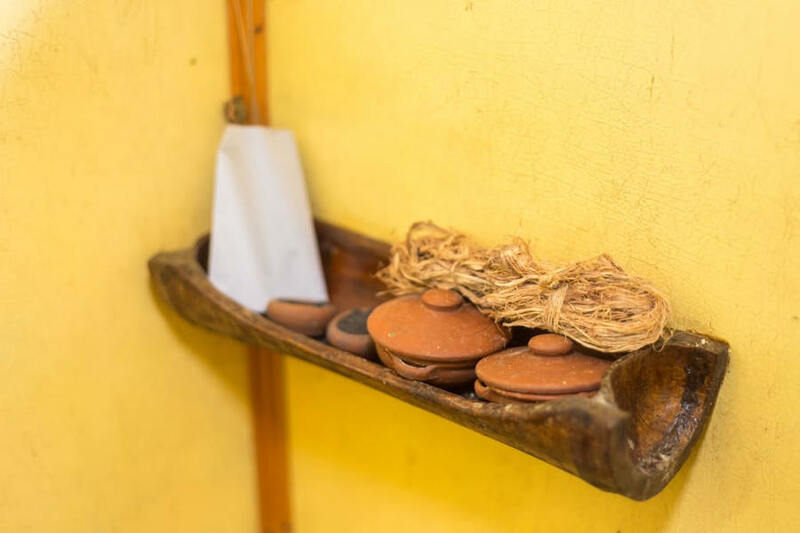 This is where you will be served traditional vegetarian Kerala cuisine made using local produce. The welcome drink on arrival is either ginger coffee or tender coconut water. The breakfast served at the tree house includes yam, tapioca, boiled banana, purple yam, boiled egg, black tea or black coffee. Lunch is a simple meal of organic rice, sambar, avial, pickle, thoran, moru curry or curd, banana, and jackfruit. 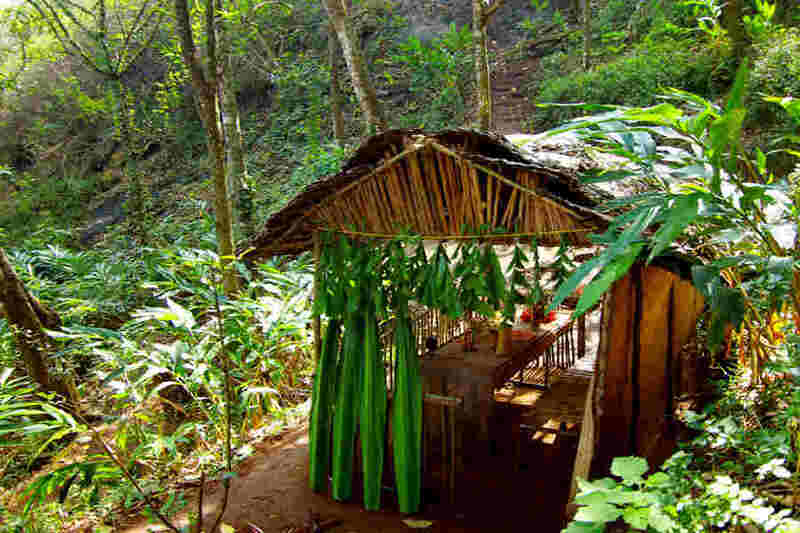 In the evening, you will be treated to a local delicacy called kozukatta or leaf ada along with black coffee or black tea. Dinner is again simple with delicious rice soup, green gram thoran, pickle, pappadam, and banana to satiate your appetite. 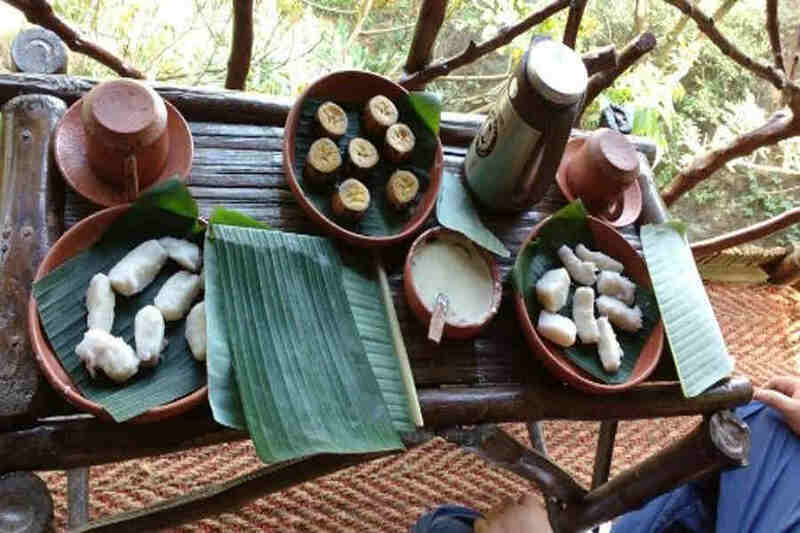 Food is served in indigenous mud utensils. 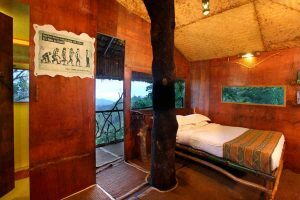 Accommodation at the Indigenous Treehouse In Kumily is the epitome of simple comforts in the lap of nature. 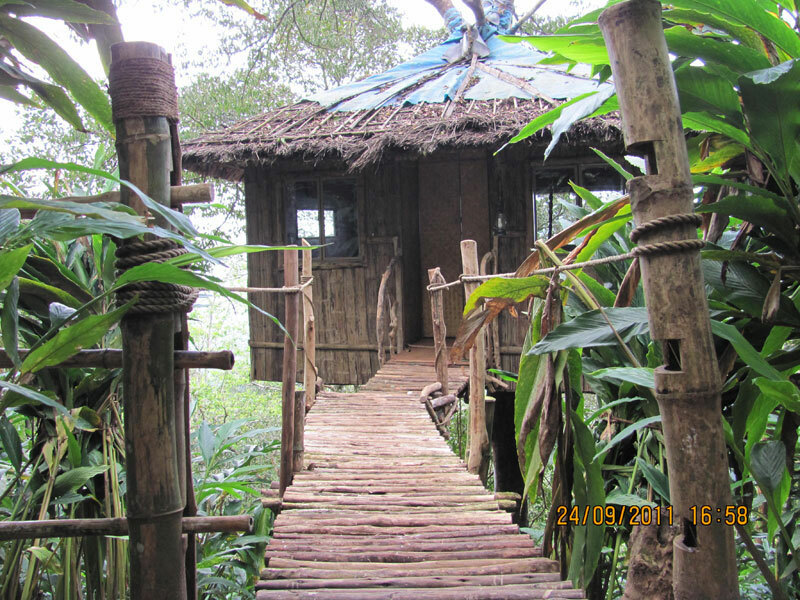 The tree house has its own attached toilet with an Indian-style water closet. 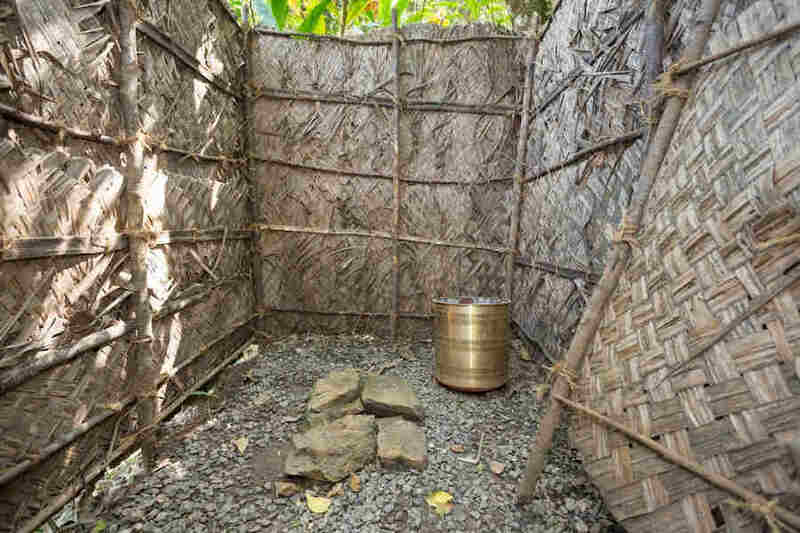 The bathroom is an open-air style setup located close to the tree house. Hot water is available on request. For brushing your teeth and bathing, you will get traditionally used materials, including charcoal, neem twigs, and inja. Your holiday is guaranteed to be an experience of a lifetime and you can be sure to feel a stronger connection with Mother Nature during your stay at the tree house. You need to sign a consent letter before you go for the trekking. It’s mandatory as per the government rules. You will be given a bag which will have leech socks, compass and a binocular. You need to return it during the check-out time. Food will be served in mud utensils. All the food items are vegetarian. You are not allowed to get out of the tree house after 7 o clock. 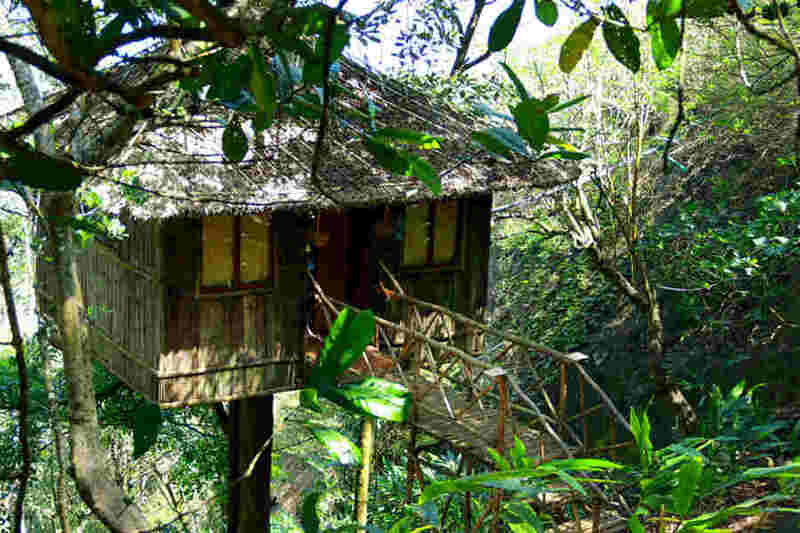 The treehouse is an ideal holiday abode to get the best of an adventure getaway. Many activities, including a forest edge walk to the viewpoint, meditation, bird watching, a solar plant visit, a special romantic dinner in the forest, campfire, a night trek, and sunrise and bison sighting can be arranged for you during your stay at the tree house. You will get a special kit with leech socks, a compass and a binocular during check in and have to be returned during check out. You can also go sightseeing to visit the many popular places in Thekkady and Kumily including Mangaladevi Temple, Chellarcovil waterfalls, and Thekkady Lake. The international airport in Madurai (149 km) is the closest airport from the treehouse. Cochin International Airport (164 km) and Trivandrum International Airport (210 km) are the other options for air-travelers. The Kempegowda International Airport in Bangalore is at a distance of 541 km from the tree house. The closest railway stations from the tree house are in Kottayam (107 km) and Madurai (140 km). The Bangalore City Junction Railway Station is located 511 km away from the tree house. A network of roads connect the tree house in Kumily to Kottayam (108 km), Kochi (158 km), Trivandrum (204 km), Mysore (451 km), Bangalore (507 km) and Chennai (568 km), among other cities.